We are happy to announce our new opening of “Hoshino Resorts BEB5 Karuizawa” today on February 5th, 2019 in Karuizawa, Nagano Prefecture. Like a night at one’s best friend’s house, this is a laid-back hotel free from time constraints and obligations. With an always-open public space, guests can be them selves and cultivate their own favorite vacation, spending time exactly and only how they would like. Travel is full of discovery and surprise, and it’s only during one’s younger years that they can fully experience the suspense of a new adventure—recognizing this, Hoshino Resorts wants people in their 20’s to enjoy travel more, and aims to support this generation’s future adventures with BEB5 Karuizawa. 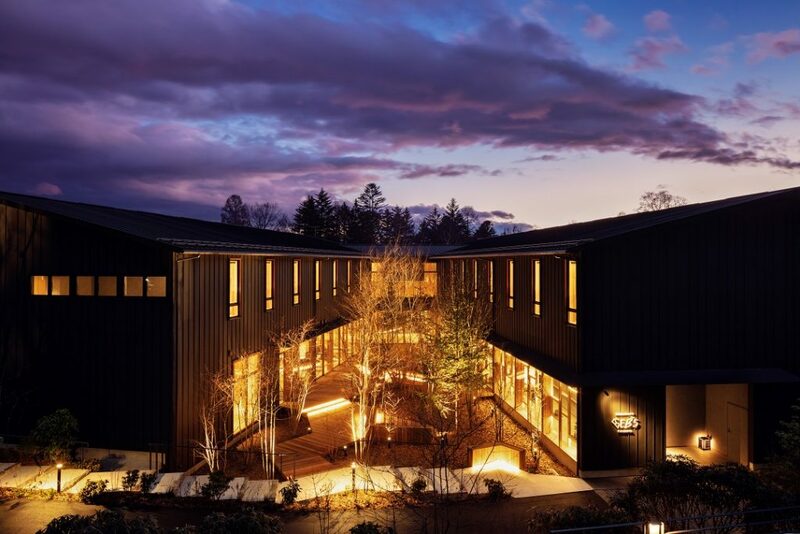 Unlike the rigid scheduling and constraints of a traditional hotel or ryokan, BEB5 Karuizawa is a laid-back hotel where one can tailor one’s trip however they like. Coming whenever, relaxing in the lounge and talking the night away over a few beers, then falling asleep before one knows it—the next day, guests can wake up and decide the day’s plans as it goes. *Tax and service charges included. Meals separate. Full press release can be downloaded below.